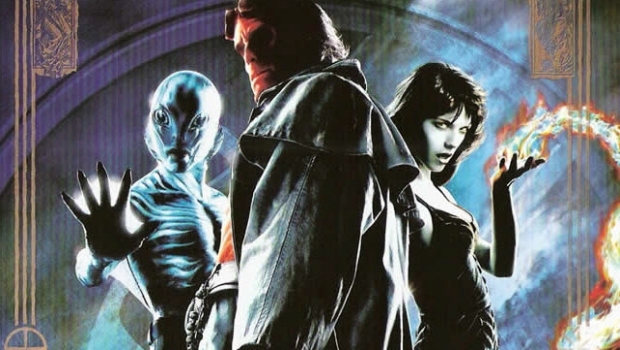 Sony presents a double bill of supernatural adventures starring HELLBOY. In short: A demon, raised from infancy after being conjured by and rescued from the Nazis, grows up to become a defender against the forces of darkness. 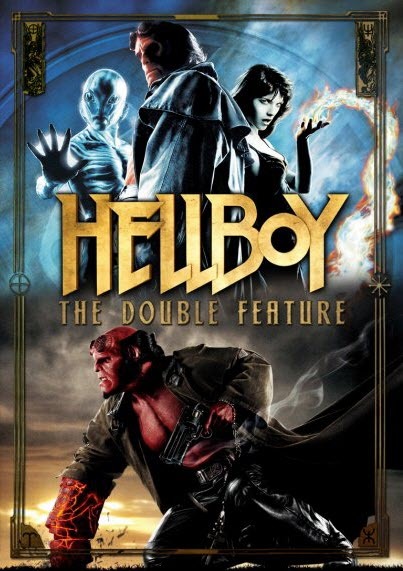 ‘Hellboy‘ (2004) is set in the final days of World War II, the Nazis attempt to use black magic to aid their dying cause. 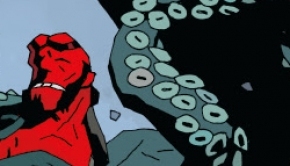 The Allies raid the camp where the ceremony is taking place, but not before a demon – Hellboy – has already been conjured. Joining the Allied forces, Hellboy eventually grows to adulthood, serving the cause of good rather than evil. Perlman is perfect as Hellboy, grunting through his days, taking care of his cats, battling evil, setting up oneliner after oneliner and even falling in love. Sure, the other actors are doing a great job, but there is no Hellboy if there is no Perlman. 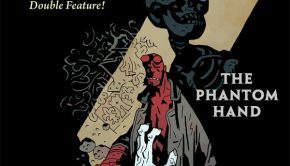 The movie in itself is not perfect, since the beginning is a tad long and feels vague, but once you set your mind to this new world, based on the comic book cult hit created by Mike Mignola, there is absolutely nothing that will deter you from loving this movie. The comedy, the horror, the gore, the action, the BROmance and the ROmance is such that this movie makes you wish this was an ongoing TV-series and not ‘just’ a movie, because you WILL realize you are going to miss their ongoing adventures. ‘Hellboy II The Glden Army‘ (2008) follows the adventure of the demon superhero, as an evil elf breaks an ancient pact between humans and creatures, and he declares war against humanity. He is on a mission to release The Golden Army, a deadly group of fighting machines that can destroy the human race. As Hell on Earth is ready to erupt, Hellboy and his crew set out to defeat the evil prince before The Golden Army can destroy humanity’s existence. Where Del Toro handled the first movie with ease and made it really cool, he upped his game with the second movie, creating a completely new story outside the comic continuity and making sure every aspect just a masterpiece, be it action scenes, special effects, love story, bromance, oneliners, music score (Elfman!!) and of course the great acting by all involved, with special mention to underrated Selma Bair, who deserves a movie on her own, with Hellboy as a side-dish!